Have you ever used point of view writing to help students connect to their content area learning? Why not!?! You are studying the rock cycle in science. Students are bored out of their minds learning about heat and pressure. I mean, it isn’t the most interesting topic, let’s be honest. After you have gone over the basics you tell your students to close their eyes and imagine themselves as a rock. Tell students to picture themselves and think about what kind of rock they would be. Are they a sedimentary rock or an igneous rock? What traits do they have? After giving students a few minutes to think about what kind of rock they are I present them with the writing prompt, you are a rock and undergo a transformation. Write a personal narrative from the point of view of a rock undergoing a change. Make sure to include details about how you would feel and react to heat, pressure, and your environment. Students, in awe, then write the most fabulous pieces of literature you have ever read, all the while cementing their knowledge of the rock cycle. Teach your content – any content with a cycle works really well, but you can write from the point of view of just about anything. Ask students to put themselves in the shoes of the content. Be as specific as possible. Give students think time and ask leading questions to get them to dig deeper into their connection with the content. Give students time to write. While students are writing, conference with students individually as needed. Students share their writing with one another! Students love to pretend, and honestly, I do not believe we give them enough opportunities to express their creativity through writing. In addition to this, they are cementing their knowledge of the content. They are also getting valuable writing time. Writing is a life skill that many students dread, but adding the content connection makes it instantly more engaging. Finally, they are teaching one another while sharing their writing. For more ways to integrate writing into content areas check out this post! Subscribe to our newsletter and get a FREE copy of a dice simulation for writing in a content area! Success! Now check your email to confirm your subscription and download your FREE simulation! I am a teacher, blogger, and curriculum designer. I strive to help empower teachers with rigorous and engaging classroom activities as well as informative blog posts with actionable tips for the classroom. 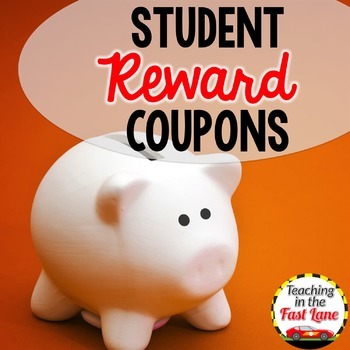 Get these Student Reward Coupons FREE! Copyright © 2019 — Teaching in the Fast Lane • All rights reserved.